Cleaning: – Before the New Year, cleaning is a tradition in Chinese culture. The grounds, the walls and every corner of the house needs to be cleaned. Cleaning means to drive the bad luck or the old things away from the house to get ready for a new start. Decoration: – After the cleaning, people decorate their house to welcome the New Year. Most of the decorations are red in color. Purchasing: – After cleaning and decoration, people goes for shopping and buy new clothes for the festival. Purchasing new items symbolizes welcoming new things and getting ready for a new year. 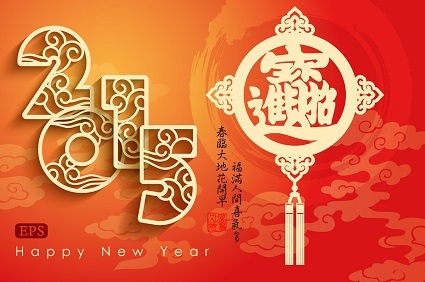 New Year’s Eve Dinner: – The New Year’s Eve dinner is the most important dinner for the Chinese. This is the family reunion dinner, especially for those with family members away from home. During the dinner, normally fish will be served and Dumplings are the most important dish in Northern China. These two dishes signify prosperity. Other dishes are dependent on personal preference. The majority of Chinese have New Year’s Eve dinner at home instead of a restaurant. Lucky Money: – Lucky money is prepared for children by elderly and given to them after the reunion dinner. In folk culture, the children will live safe and sound for the whole year if they get lucky money. Children use their money to buy books or other school supplies. Firecrackers and Fireworks: – Fireworks are used to drive away the evil in China. Right after 12:00PM on New Year’s Eve, fireworks will be launched to celebrate the upcoming New Year as well as to drive away the evil. Also, it is believed that the person who launched the first firework of the New Year will obtain good luck. Travelation offers you huge discount on airfares to China. Check out discounted flight deals to China here: http://www.travelation.com/ChineseNewYear also you can call us toll free @877-247-7183 and get extra benefits on ticket bookings.